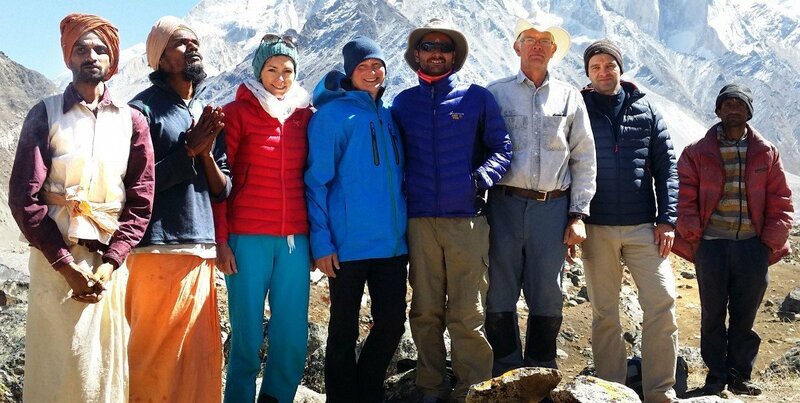 Swami Narayana and Swami Amba recently had the great privilege to make a pilgrimage to the Himalayas. 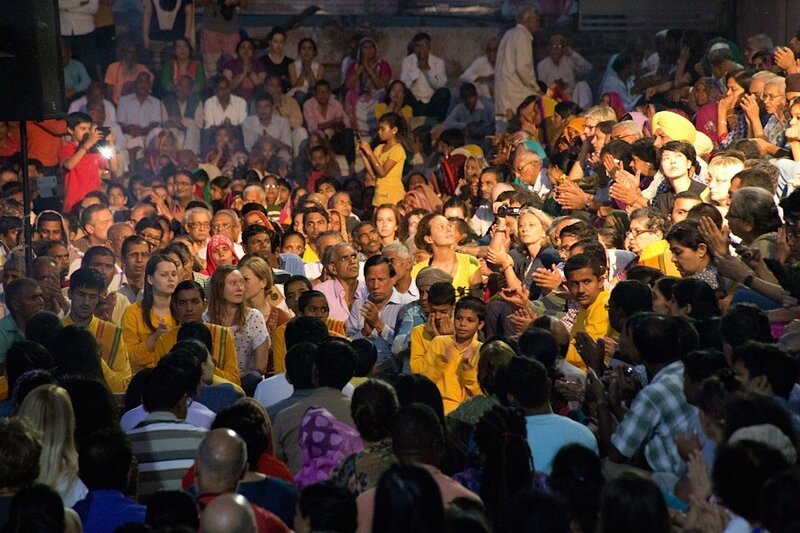 Here is Swami Narayana’s report, with photos by Andreas Cramer. 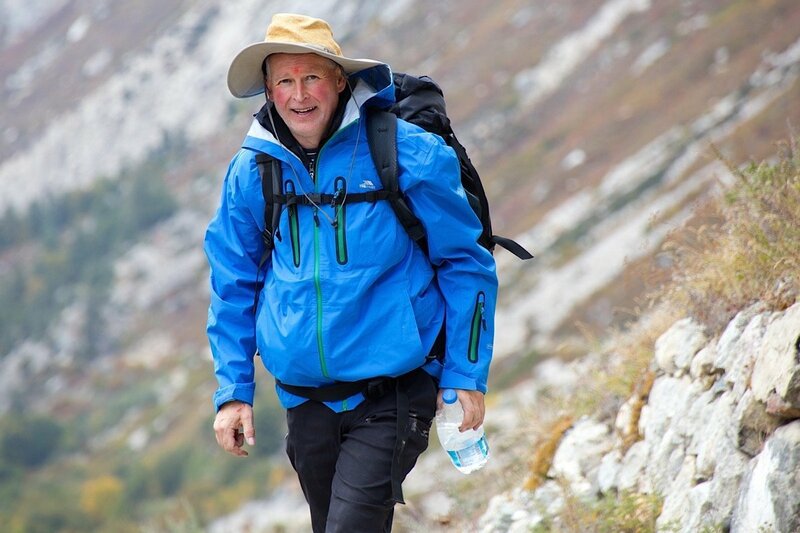 We were chosen unexpectedly to accompany Judith and Andreas Cramer on their pilgrimage to the mouth of the Ganges, and the Shivling mountain. After a mad scramble to wind up jobs in Skanda Vale, in no time at all it seemed, we were sitting on the plane en route to Delhi airport. 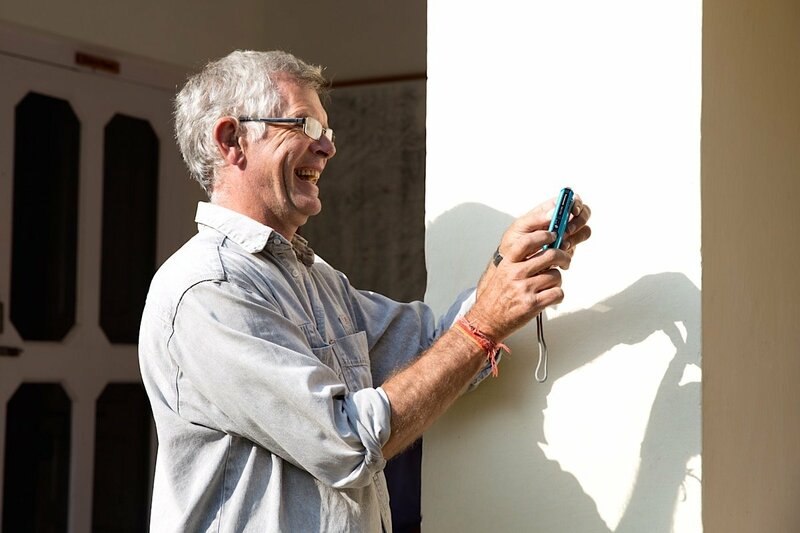 We met the Cramers in Delhi, and next day drove to Haridwar where we sent a couple of days acclimatising to India and generally exploring. It was here that we were joined by Mani and Karti from Tamil Nadu, who were friends of Skanda Vale and custodians of the sacred Arunachala mountain. Our auspicious group was now complete. We were told that Swami Murali Krishna had predicted we would be six in number when he gave his blessing for the journey. Our guide for the journey was to be Deepak Rana, another good friend of Judith, and if anyone is contemplating a journey in this area I strongly recommend getting in touch with him. Everything was organised with great consideration and efficiency. He has a great team who were a pleasure to travel with. 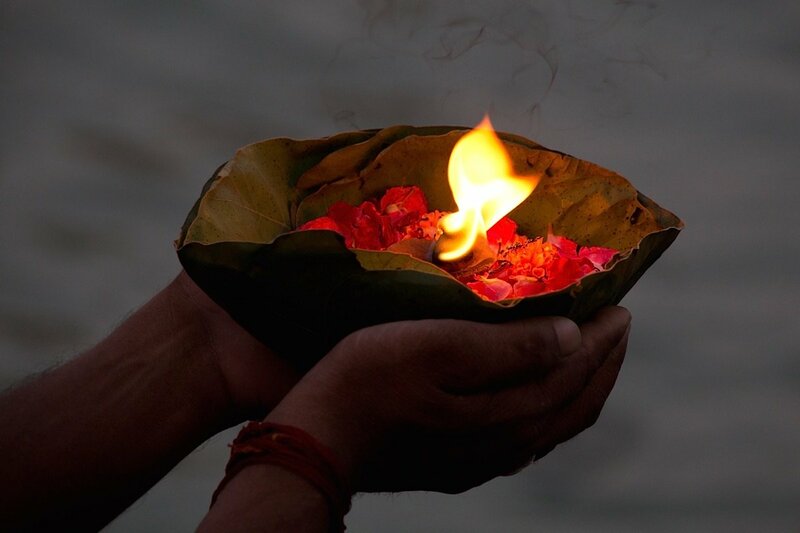 Aarti and petals are offered to Ganga Ma at dusk on the Ghats of Haridwar. 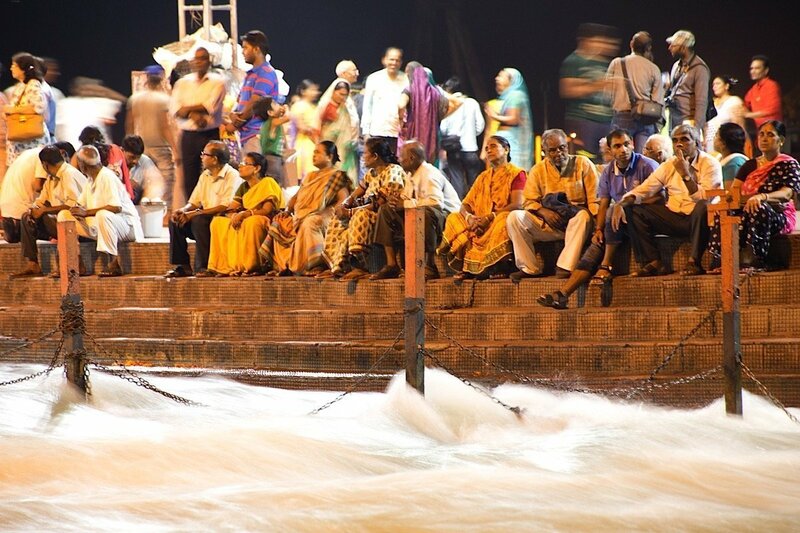 Hindu pilgrims at night time on the banks of the river Ganges at Haridwar. 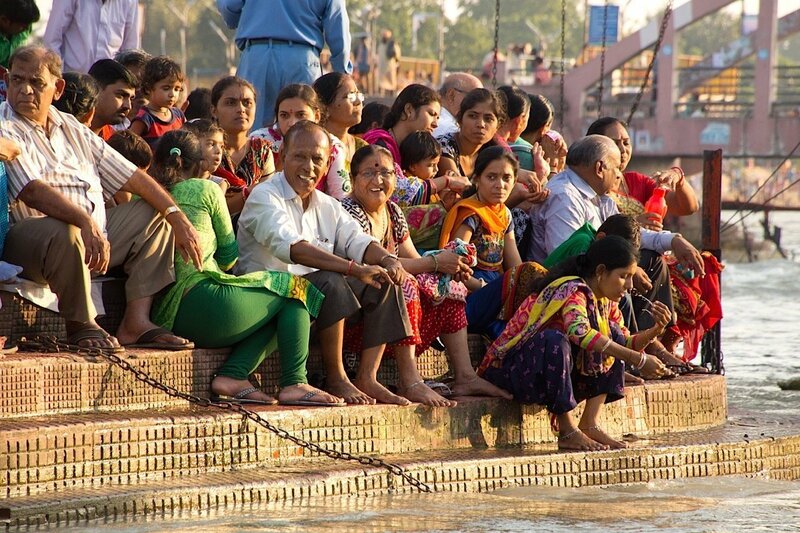 Pilgrims smiling in late afternoon sunshine on the Haridwar Ghat. 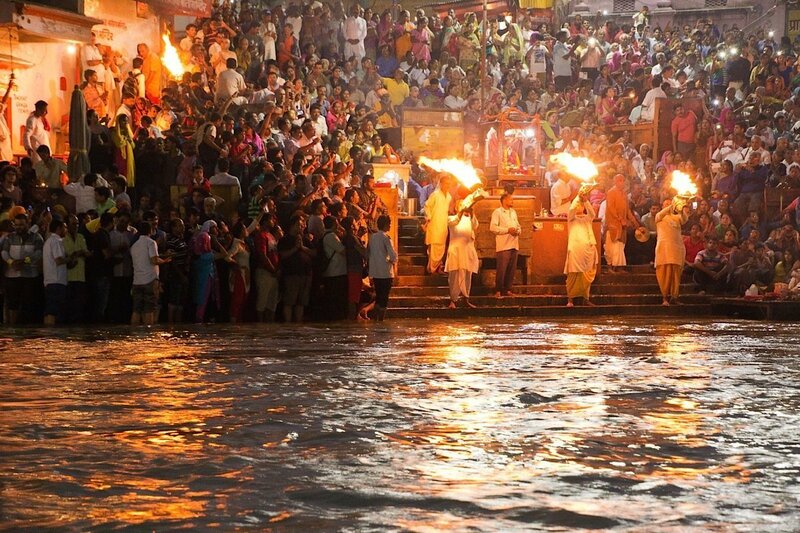 Priests offer aarthi to Ganga Ma on the banks of the sacred river Ganges at Haridwar. The highlight of Haridwar was undoubtedly the evening arathi to Ganga, which was a moving introduction to the object of our pilgrimage. Two days of driving found us in Gangotri itself, after a breathtaking and sometimes hair-raising drive up the beautiful mountains and valleys of the lower Himalayas, via Uttarkasi. 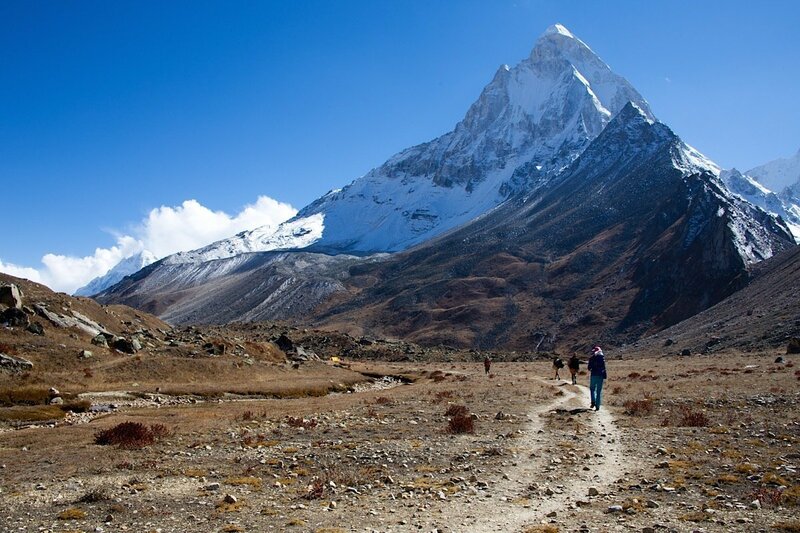 In Gangotri we first experienced the effects of altitude, being already at 3,000 metres. Wisely, Deepak insisted on a day to get used to the altitude, and we rambled around the valley; soaking up the spectacular scenery and inhaling the scent of wild tulsi which grows everywhere here. We visited a cave where the Pandavas had sheltered during their period of exile. The resident saddhu made us chai while he chatted to Deepak. The temple at Gangotri is wonderful. Several of us had very moving experiences there. 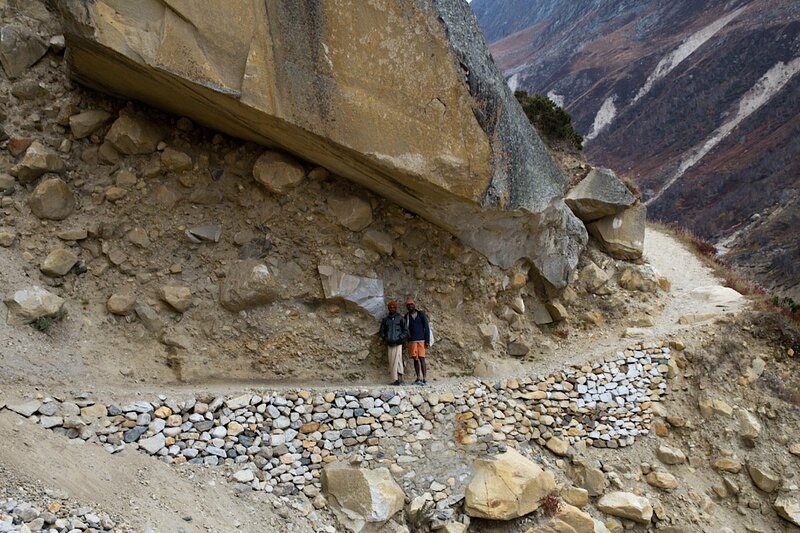 On the day of our departure to Gomukh we offered a puja there to pray for our safe return. 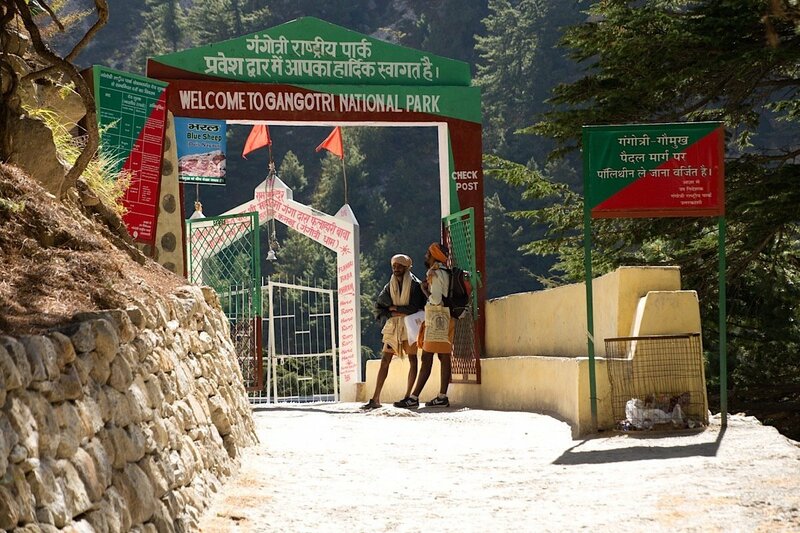 Mani and Karti at the entrance of Gangotri National Park. 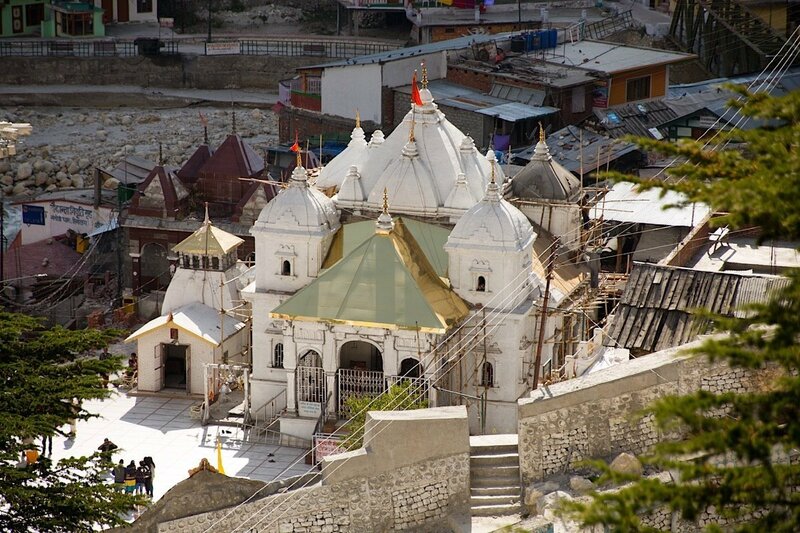 The sacred Gangotri Temple - a profoundly beautiful and sacred place. Swami Narayana, Swami Amba and Judith have a chai break in a roadside cafe. 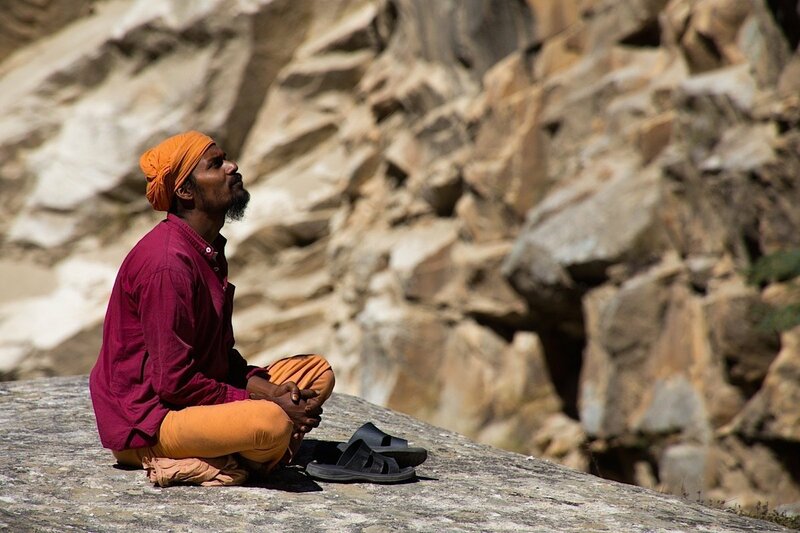 Mani sitting in a reflective mood on a boulder near Gangotri. 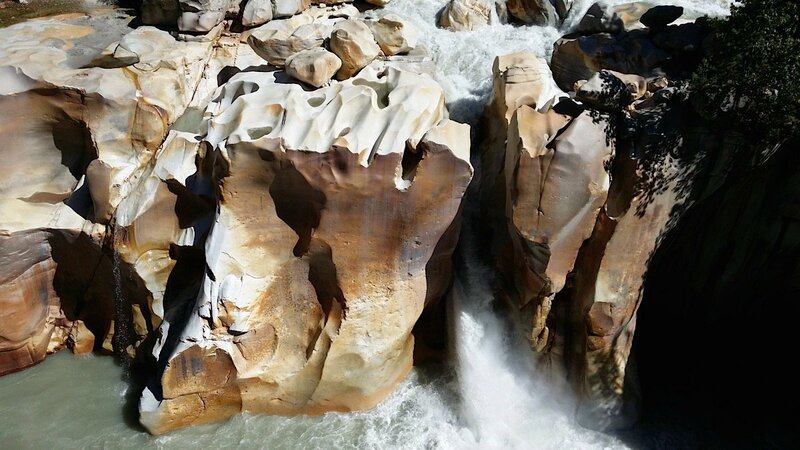 A beautiful waterfall at Gangotri – near the cave of the Pandava brothers. 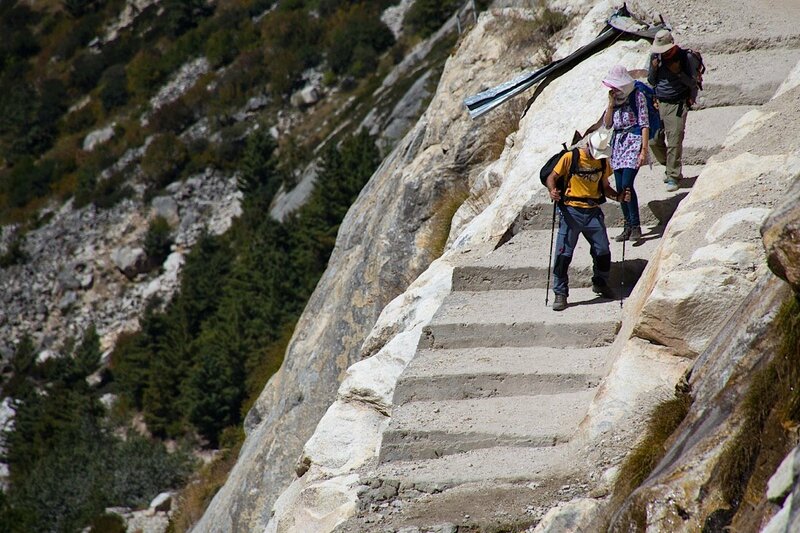 Judith and the two swamis tread carefully on a steep and narrow path near Gangotri. Swami Amba puts his best foot forward. The first leg of the trek proper was a 14 km climb. Three of us were quite affected by the altitude. Speaking personally it was a nightmare! Every now and then we stopped for a breather, and became aware of the beautiful Bagirathi valley. Otherwise it was simply a struggle to put one foot in front of the other and not give in. Somehow we made it to the overnight camp, to be greeted by a flurry of snow. 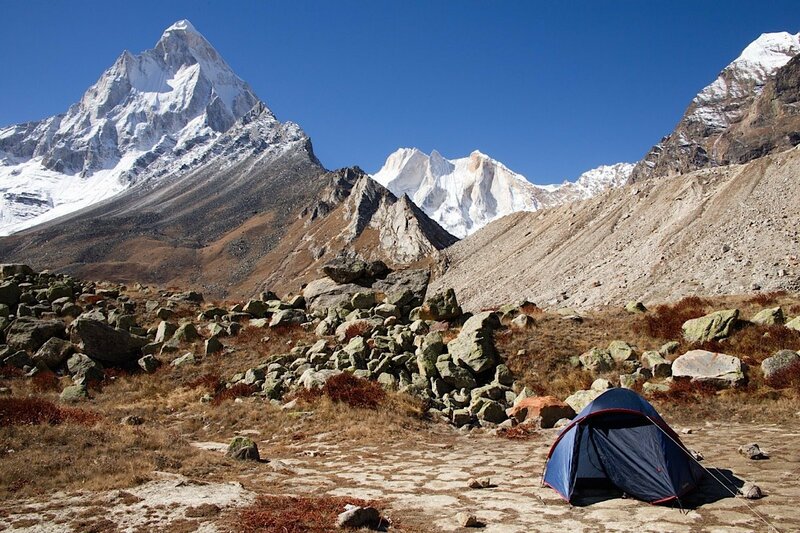 Once the tents were erected our spirits were soon revived by chai, and a hot meal – prepared by our magician of a cook, doubling up from his role of Sherpa and experienced mountaineer. He never failed to have a cheery smile, and produced the best possible results from the supplies transported by the team. Next day the going was a bit easier and we arrived at Gomukh by mid day. In the brilliant sunshine millions of tons of icy water pounded out of the foot of the glacier. We all had a purifying bath, and a murthi of Lord Vishnu from Skanda Vale was laid in the river, to invite the power and energy of Ganga to flow over us here. Next we had to climb up the side of the glacier, then across the top, and finally a near vertical scramble up to Tapovan itself, which is a plateau about 8km long at the base of Shivling mountain. Personally I have no idea how I made it, save with help from pharmaceuticals, friends and the grace of God. In this sense it was a true pilgrimage. 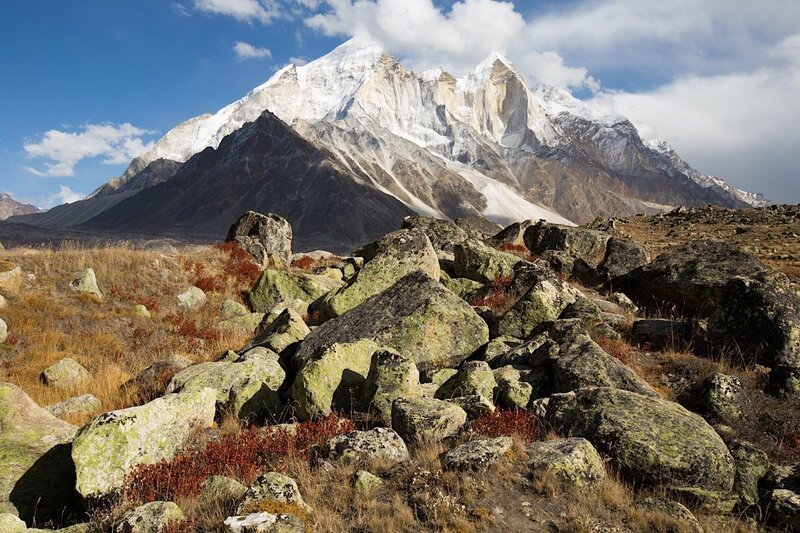 Walking on the Tapovan plateau, with Shivling Mountain in the background. 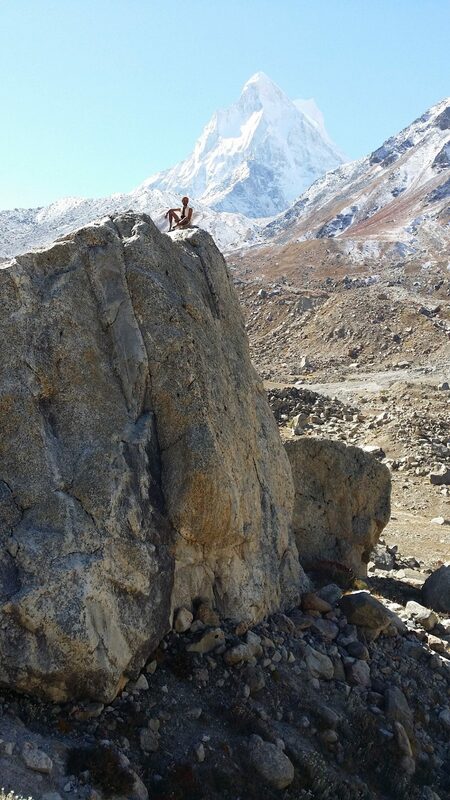 Karti relaxes on an enormous boulder, with Shivling Mountain in the background. Karti (not feeling the cold) in front of Shivling Mountain. Karti doing yoga asanas with Shivling Mountain in the background. A breathtaking photo of Bhagirathi mountain, in golden sunlight. 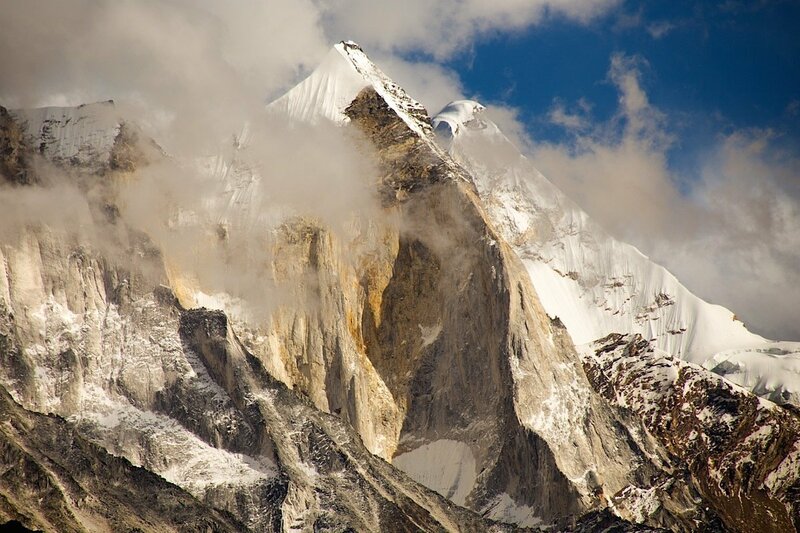 Gomukh - the snout of the Gangotri Glacier, from where Bhagirathi River originates. 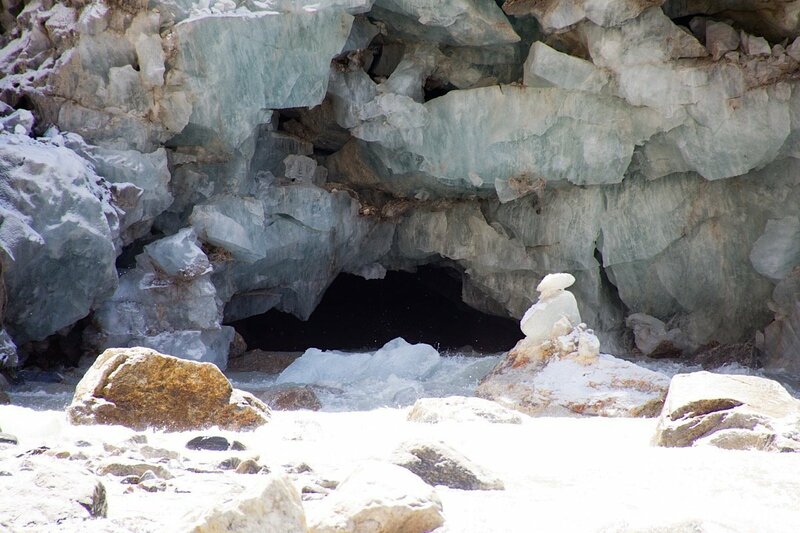 This is the source of the River Ganges. Group hug at Gomukh - the source of the mighty Ganges. Here was our home for the next few days. 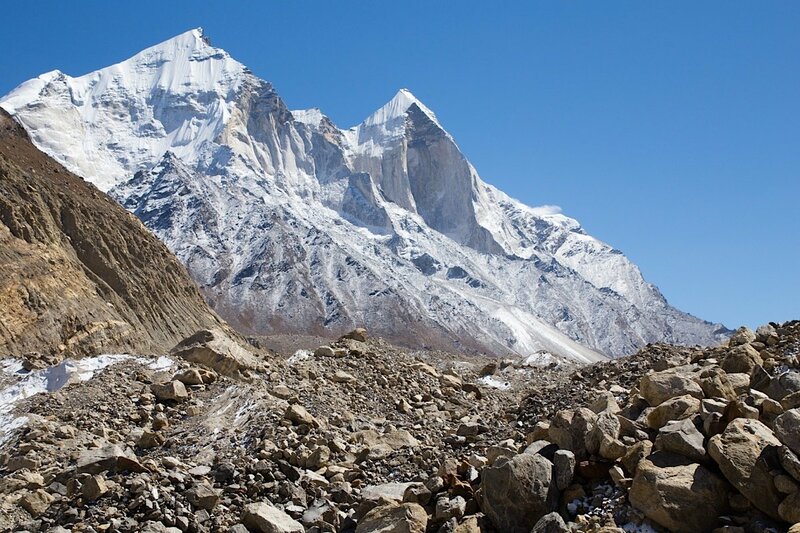 Surrounded by majestic snowy mountains, Meru Peak, Bhagirathi, Sudarshan and Shivling itself – in brilliant sunshine by day and minus 10 degrees at night. We met two saddhus who have separately lived up there for several years. We wondered at the discipline they must have, in the depths of winter – but we also understood the lure of solitude in the midst of such grandeur. We celebrated a puja to a lingam, ganga, vel and sri yantra together on our first day, and every evening had a simple puja and bhajan session. Otherwise one’s consciousness takes on a clarity reflecting the surroundings. 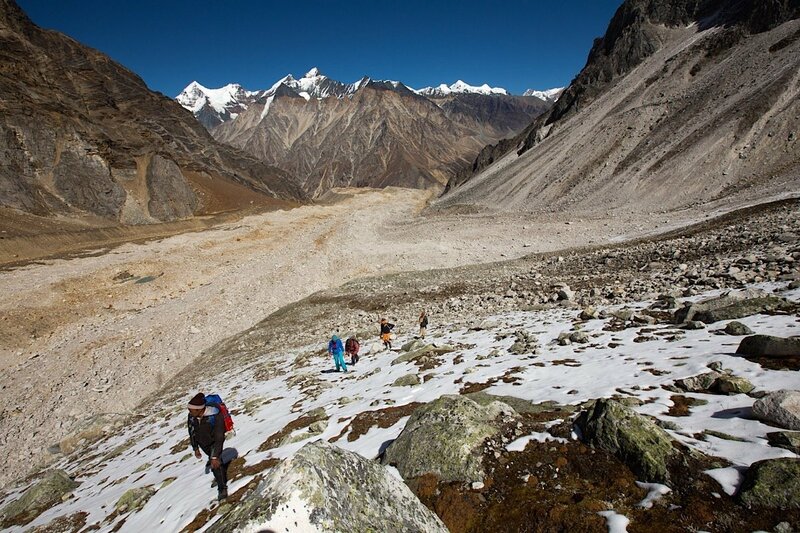 We all made little forays of our own around the base of the mountain; some climbed up to Shivling advanced base camp. 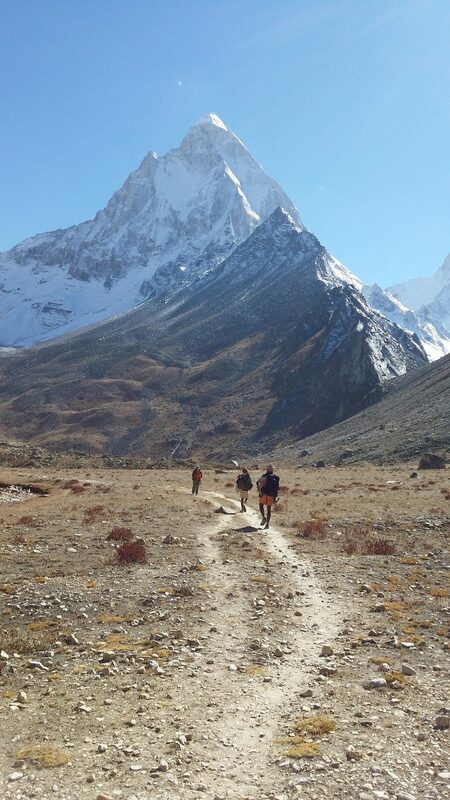 After a few days everyone was feeling challenged physically in different ways, and we were not entirely sorry to begin the descent back to the valley and Gomukh. Here we stopped and had a simple ceremony to lay the vel from Skanda Vale to rest in the river, once again praying for grace for the community and it’s work. Bhagirathi Mountain with clear blue skies. 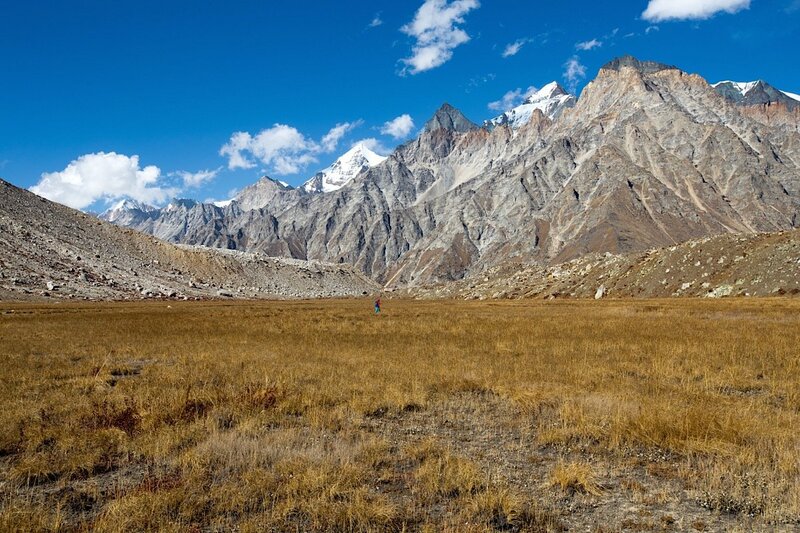 Walking on the Tapovan Plateau with Shivling Mountain in the background. Our temporary home is dwarfed by Shivling mountain and Meru Peak in the background. Mani and Karti resting in the mid morning sun on the Tapovan Plateau. 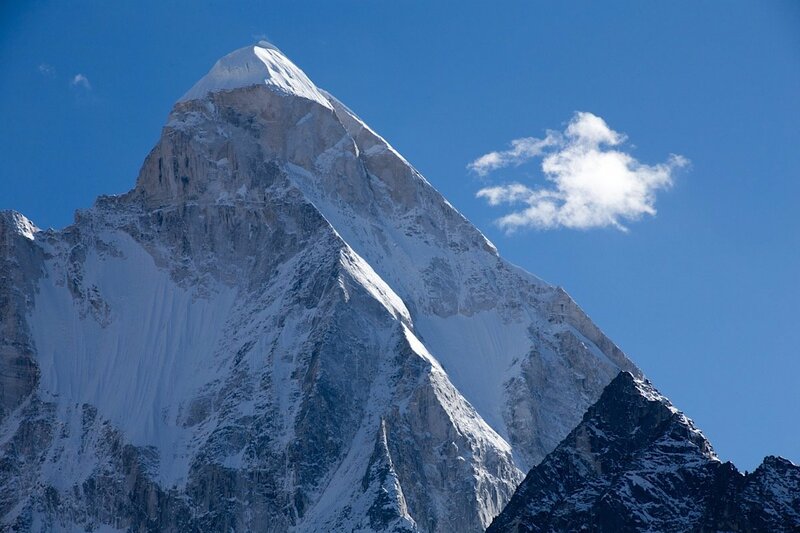 Shivling Mountain peak on a clear day. We were so lucky with the weather. 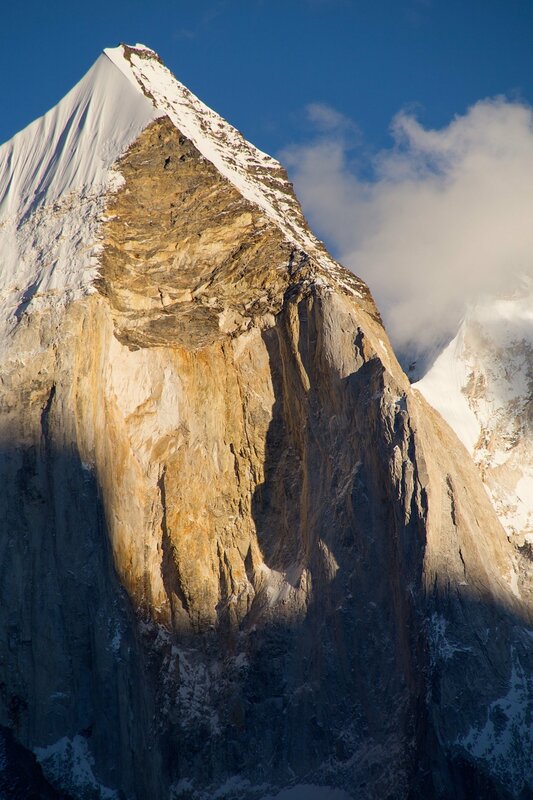 Mount Bhagirathi peak in golden sunlight. 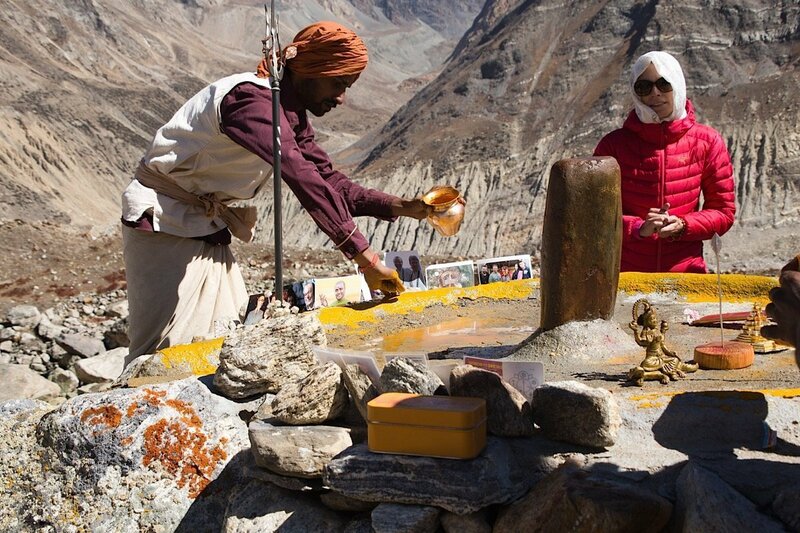 A puja to Ganga Ma, Sri Yantra, Vel and Shiva Lingam near Gomukh. 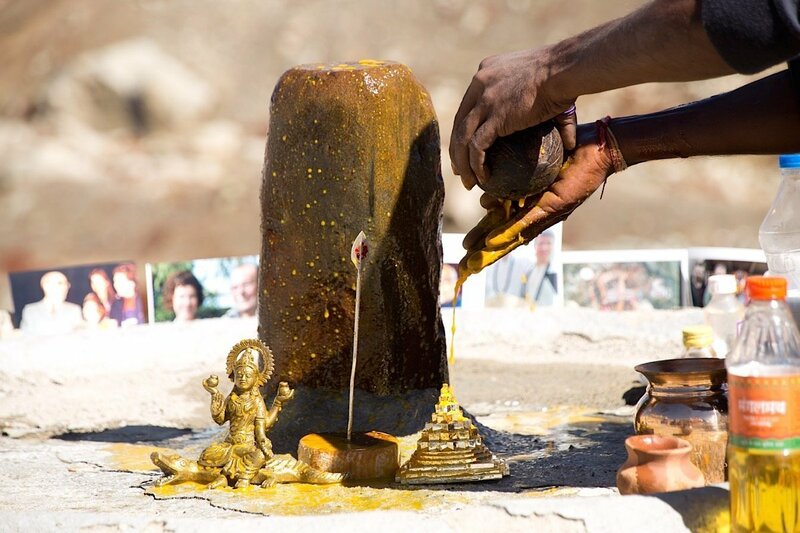 Karti performs abishekam to the Shiva Lingam. 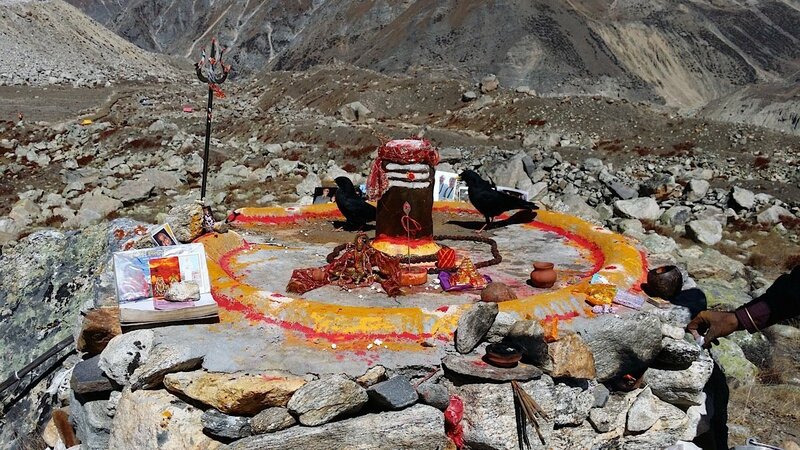 Two crows joined us for the Shiva Lingam puja. They followed us for much of the journey. Swami Amba offers prayers for the community at Gomukh. Swami Amba performing a puja to the Vel at Gomukh. 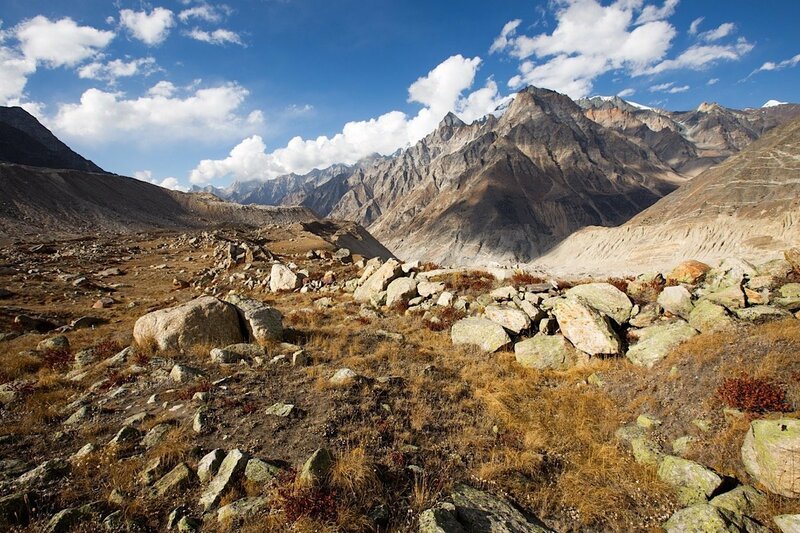 The trek back to Gangotri was an absolute delight. Although it was strenuous, we were able to revel in the bright scenery and thoroughly appreciate all that lay around us. A highlight of this time was meeting Lalita Mataji near Gangotri. She graciously spent a couple of hours talking with us, reminding us of the fruits of single minded dedication to God. She is an amazing individual, and we all felt blessed by her darshan. So back to Delhi via Rishikesh, shopping for things for the community and exploring. 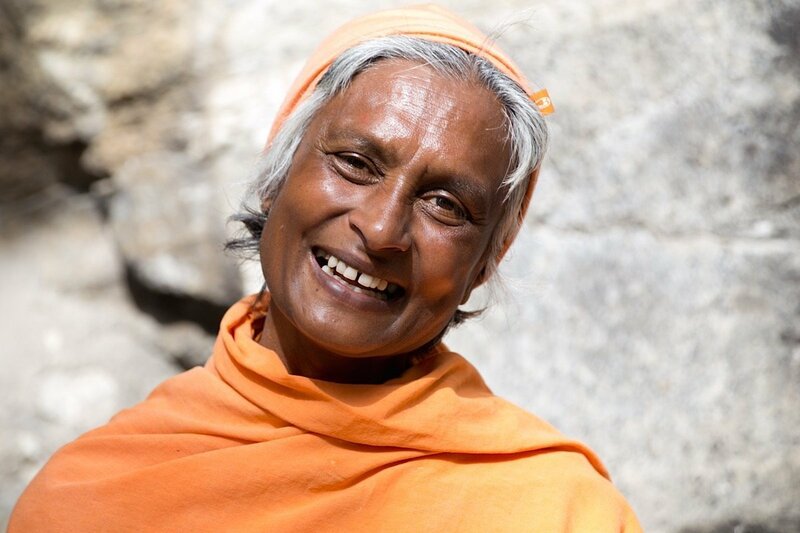 Swami Amba and I arrived back in Skanda Vale on a Sunday afternoon in the middle of Navaratri. We’ve had some amazing experiences and would like to thank everybody who made it possible, particularly Judith for being such an amazing organiser, Andreas for his photographic skills, Mani and Karti for never once complaining about the cold, and all the Gurus; Sri Subramanium, Murali Krishna, Alya Narayana and Lalita Mataji who were with us all the time. Lalita Mataji - a great soul and saint, living in great simplicity with God. Mani and Karti tread carefully on the way home. 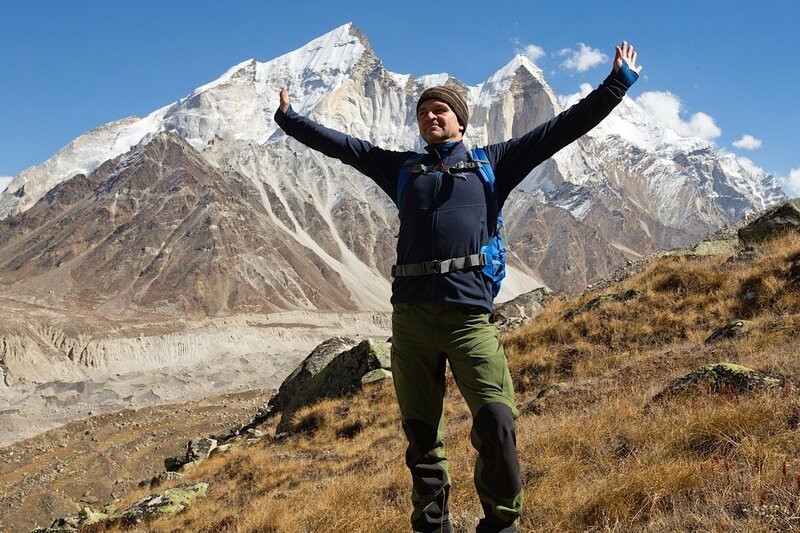 Andreas at Gangotri glacier, with Bhagirathi Mountain in the background. 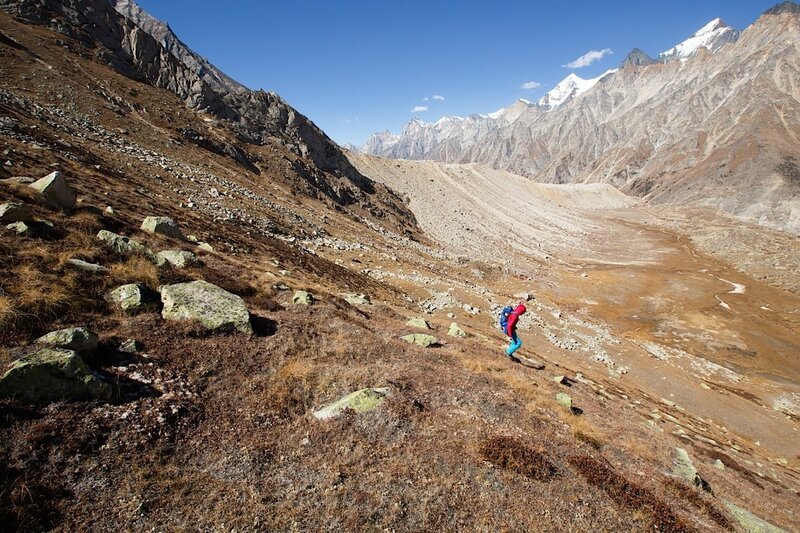 Judith hikes down into the Bhagirathi valley. The scale and purity of this landscape is truly humbling. Yet another stunning panorama from our return journey. Bhagirathi Mountain in bright sunlight. Judith and the team catch their breath. Swami Narayana back (in one piece) in Rishikesh. Pilgrims at the evening aarti on the banks of the Ganges in Rishikesh. 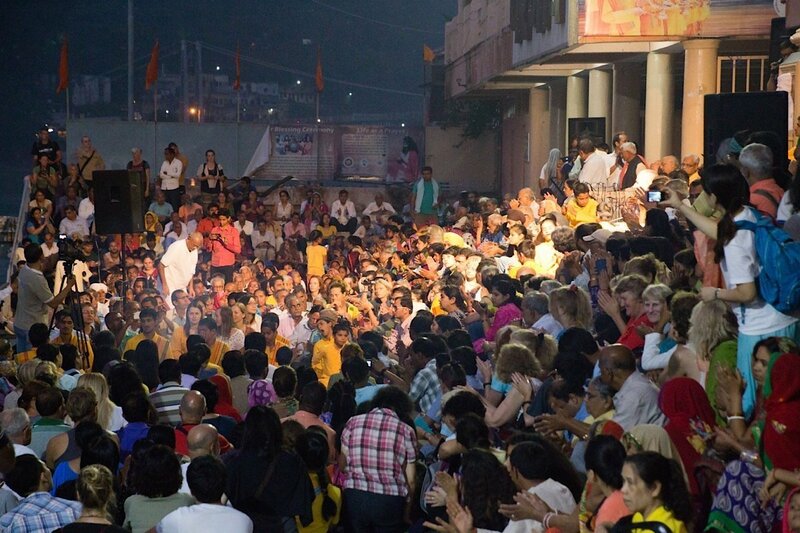 A dense crowd at the evening aarti in Rishikesh.